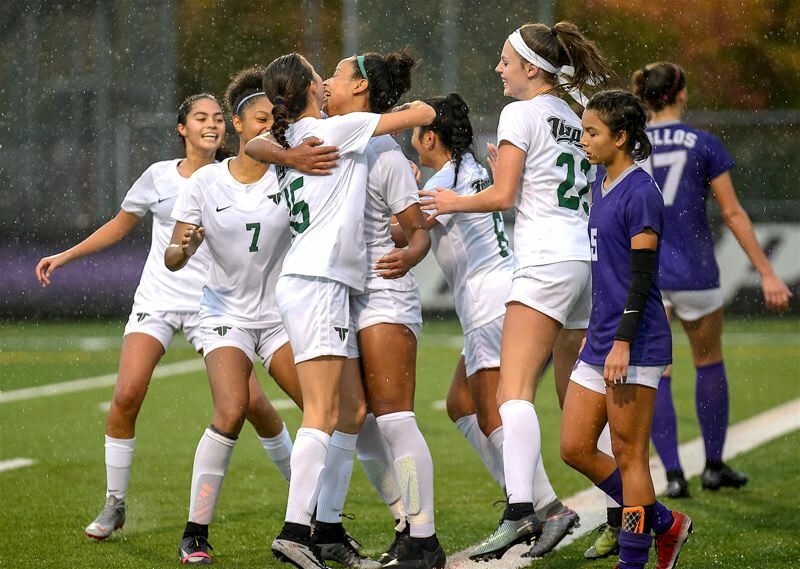 The Tigard High School girls soccer team never stopped battling. The Tigers even battled themselves back into a tie match. But Tigard came up one goal short. 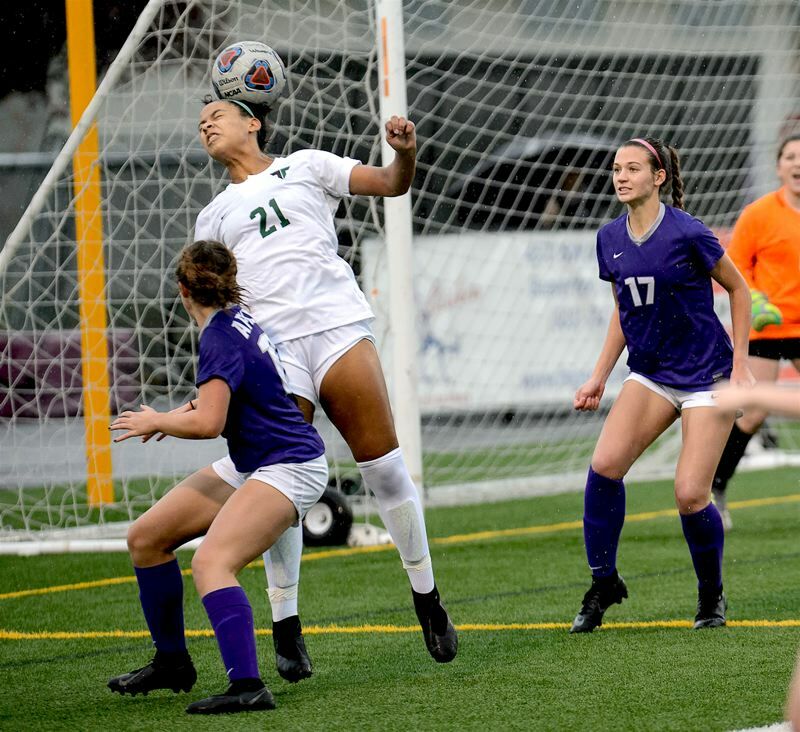 The Tigers, after falling behind 2-0, came back to tie Sunset at 2-2, before the Apollos were able to get a 3-2 victory in a Class 6A state playoff first-round match played Saturday at Sunset High School. With the win, Sunset, the No. 3 team out of the Metro League, improved to 10-3-2 on the season. The Apollos also move on to host Canby in a Class 6A state playoff second-round match on Wednesday. Tigard, the No. 8 team out of the Three Rivers League, finished its season with a final overall record of 8-7. Sunset, in Saturday's match, took a 1-0 lead to halftime behind a penalty-kick goal by senior Haley Leavens. The Apollos then upped the margin to 2-0 in the second half. But that's when the Tigers came fighting back. Tigard got a pair of header goals by senior forward Gabby Brown, both coming off of corner kicks, to tie the match at 2-2. 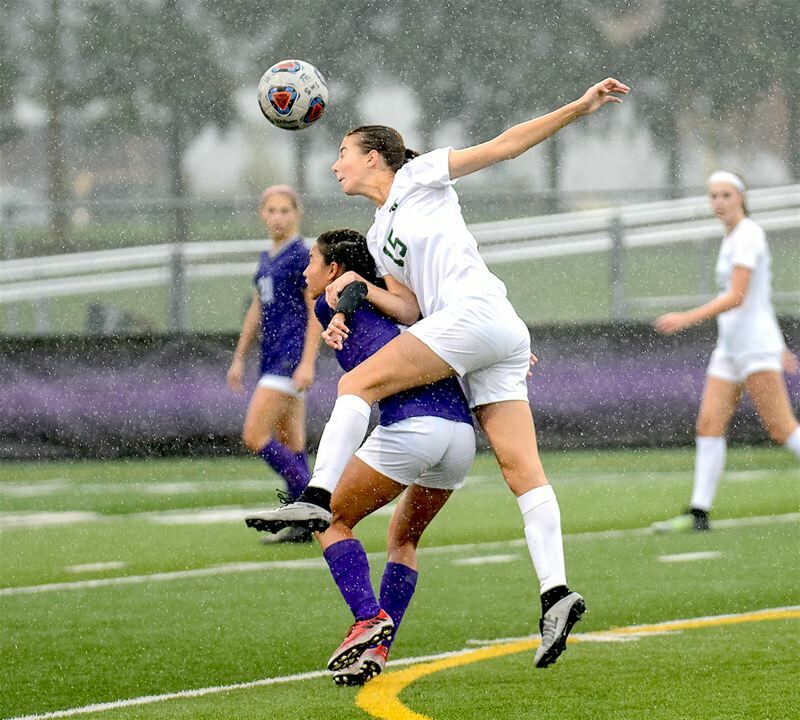 Sunset would end up getting the game-winner on a goal by junior Stephanie Niebergall, coming off an assist by senior Laurie Fuller, giving the Apollos a 3-2 victory. The playoff loss marked the final high school match for Tigard seniors Natalie Carlson, Kelsie Boschma, Sydney Leinberger, Delaney Kludt, Kyleigh Layman, Brown, Rachelle Diaz-Boyas, Grace Biggs and Ava Damis.